Ice cream used to be a staple in my diet. Nothing would beat a cold serving of ice cream after a long day of running around and playing outside. After I got comfortable with my keto lifestyle, I tried to revisit some of my old favorites. Rather than returning to the old carb loaded options, I tried my best to find alternative solutions. After several botched batches of ice cream, I think I’ve found the perfect recipe! 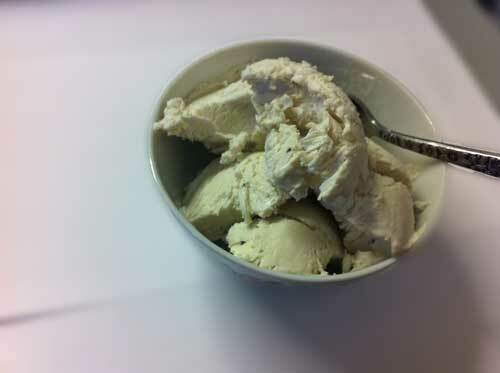 I’ve attempted keto friendly ice cream countless of times in the past. My biggest challenge, was nailing the smooth, and creamy consistency. Without the added sugar, I found that ice crystals were a common occurrence, ruining the whole ice cream experience! After all of my attempts, I found there were three core ingredients are all you really need for great tasting, ice cream. You’ll also need something to whisk the cream. A balloon whisk will suffice, or you can use an electric mixer, or even a stand mixer if you’re really fancy! Voila! It tastes better than it looks, I swear! There you have it! Simple and easy ice cream, made with your own hands. Just leave it out for a couple of minutes before serving to make your life a little bit easier. The cream cheese adds a rich flavor to the ice cream, and gives it a smoother texture. 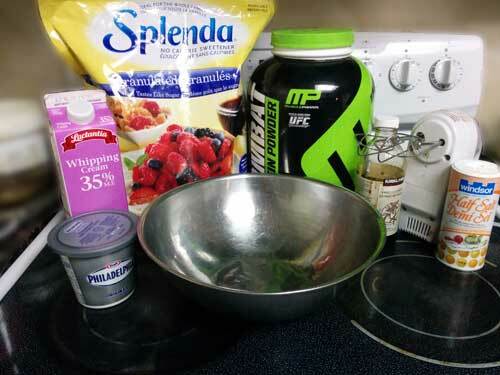 You could also skip the protein all together, and substitute it with your choice of sweetener and flavoring. I highly recommend the protein though since it opens up so many flavor options. I also recommend using a casein blend since it gives the mixture a thicker, more gooey consistency. Using heavy cream and cream cheese, this ice cream definitely isn’t the lightest treat. While it may seem like a lot of whipped cream, it’ll double in volume once whipped. Still, be mindful of your portion sizes! You don’t want to accidentally consume a day’s worth of calories here. 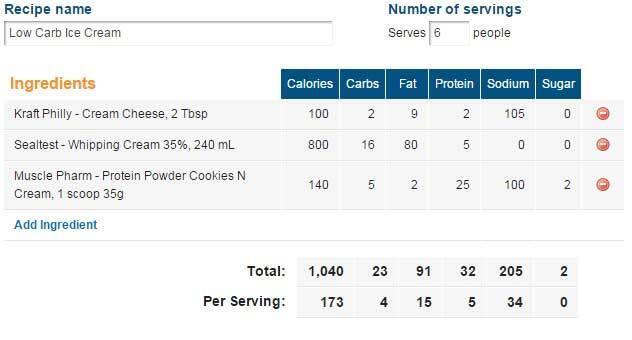 Here’s a nutritional breakdown if you’re tracking your food intake. My protein was a bit higher in carbs, but use whatever you have on hand! I hope you enjoy this frosty treat as much as I did. Feel free to play around with the recipe, and if you have any suggestions, feel free to let me know! If you have any specific recipe requests, you’re always welcome to leave them and I’ll try to get to them as soon as possible. Keto Fruits: What Low Carb Fruits are Okay for Keto Diets?